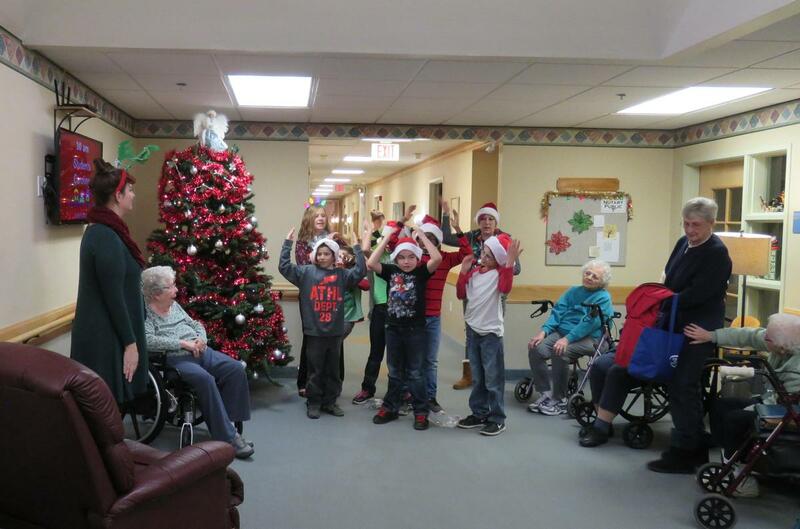 Brody and his Page Elementary classmates performed this simple act of kindness again and again as they went from room to room at Carveth Village singing Christmas carols and spreading holiday cheer. "It makes them have a smile on their face," said Brody after giving the ornament. Bryant Simmons said he enjoyed his time singing at Carveth Village and handing out ornaments. "It makes me very happy," he said. "It makes me smile and they smile." 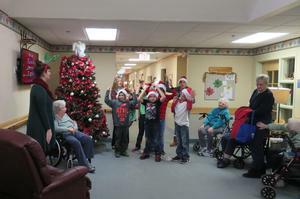 Nicole Shipley's special needs class took on a Week of Giving. Each day the class did something special as a way to give to others. One day sent them shopping for gifts to give their families followed by an afternoon of Christmas wrapping. They made ornaments and combined cookie dry ingredients in a Mason jar for a tasty Christmas treat. They made trail mix and handed it out at school to teachers and staff. "It's fun," said Bryant carefully concentrating on measuring out just the right amount of sugar and salt for his cookie ingredients jar. Shipley said aside from the practical lessons in learning to read and follow directions, understanding correct measurements in a recipe, and being able to go shopping, the lessons went far beyond all that. They also taught the importance of being kind to others and being able to give to others through simple acts and gestures. 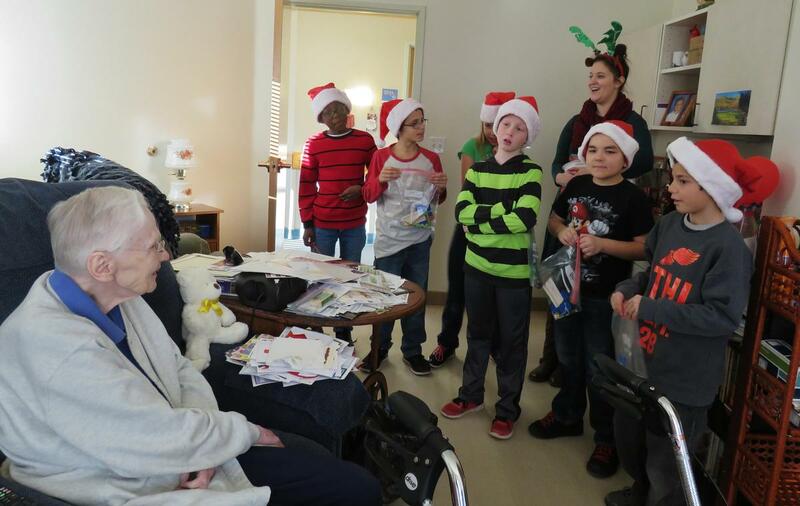 "I chose to focus on giving during the holiday season as sometimes that can be lost in all the excitement that students have during the holidays. 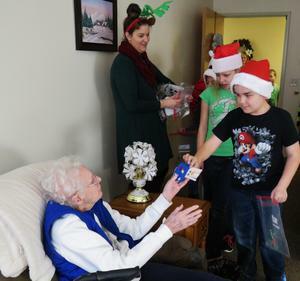 Often times, we have others giving to our classroom, which is always greatly appreciated, but I hoped to have my students learn the happiness that can come when they do the same," she said. " 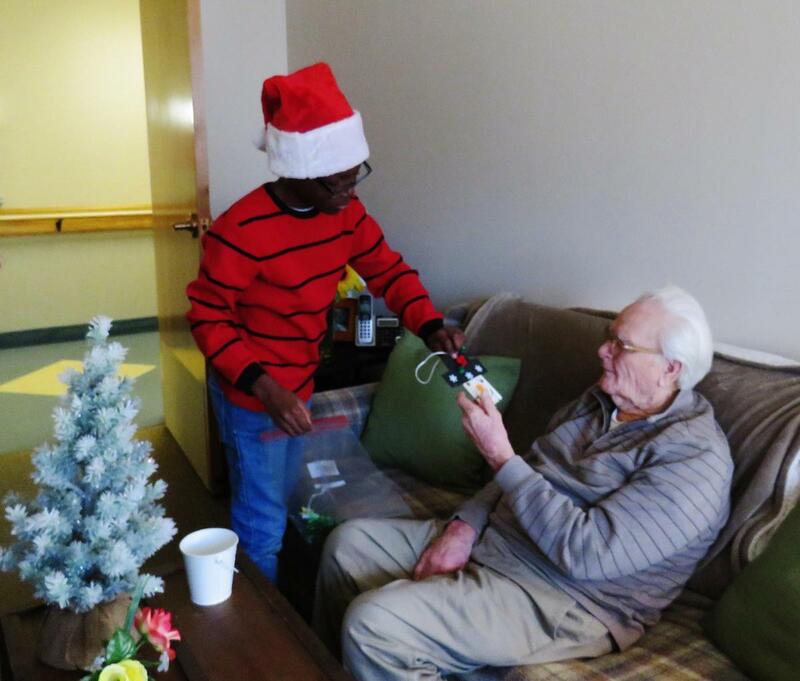 I feel like they learned that Christmas time is more than receiving gifts as they pass out their gifts with joyful smiles on their face."